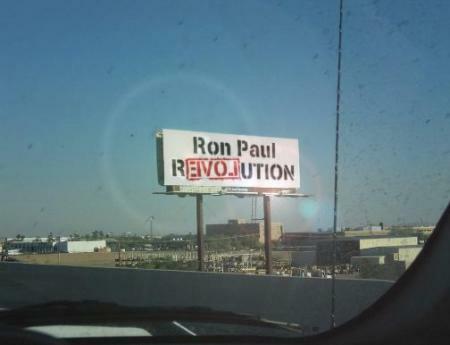 3 Comments in Response to Billboard Highjacked for Ron Paul in Phoenix! Yikes! This is incredible. How did you do this? Watup Watup? You got to share more about this... are we going to need to bail you out later? Holy crap, Shelton! Get after it, buddy!